Sailun Tyres have built up an enviable reputation throughout the world as a manufacturer of high-quality, great value premium economy tyres. 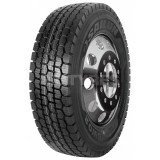 Covering a number of applications including truck and light passenger use tyres. Sailun was established in Qingdao, China. 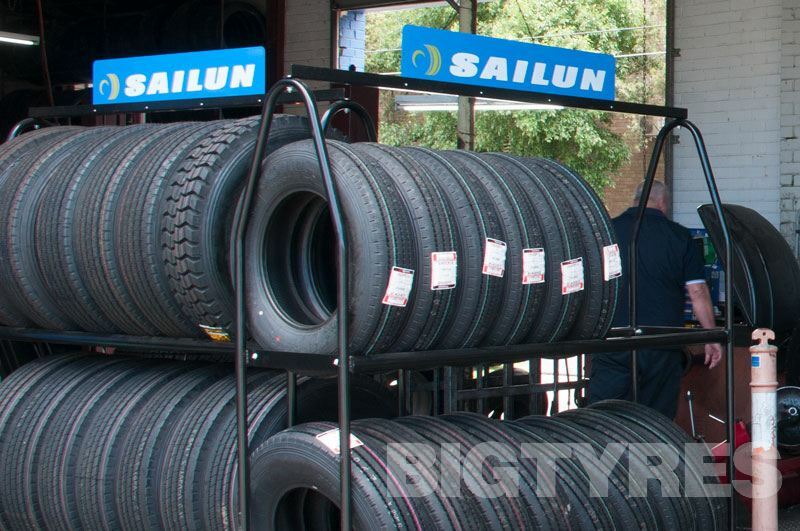 Now, Sailun sells over 30 million tyres annually in over 50 countries worldwide. 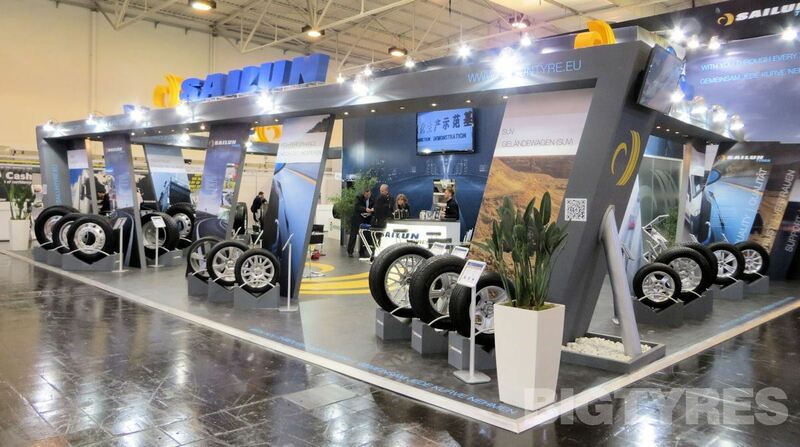 From the outset, the Sailun tyre company has combined technical expertise with innovative research and development to design and manufacture world-class tyres for all types of vehicles. Sailun’s growth is attributable to its commitment to three core values – Quality product, service you can Trust and lifetime Support. 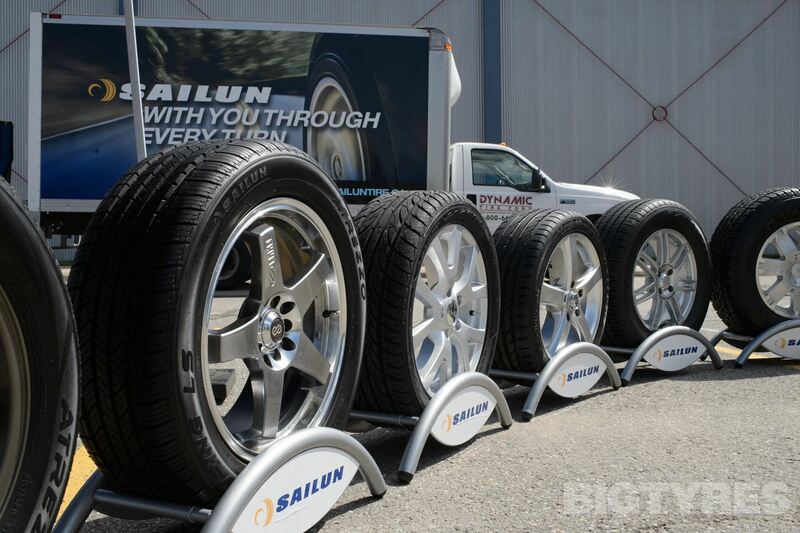 The Sailun City Convoy tyre is specifically designed for city roads. A rigid shoulder construction improves uniform wear for a longer tread life and the unique sidewall protection strip improves scrub resistance on the Sailun City Convoy tyre for added casing protection. The main features & benefits of the Sailun City Convoy tyre include; A uunique sipe design that increases the tyre contact area while the tread patterns' improved rigidity improves skid-resistance, Sidewall notch design on the Sailun City Convoy tyre allows the tyre to run cool and improves durability. The specialised formula for buses improves scrub resistance to reduce the chunking caused from constant starts and stops. Sidewall strip protect the tyre casing from lacerations for improved service life when using the Sailun City Convoy tyre. 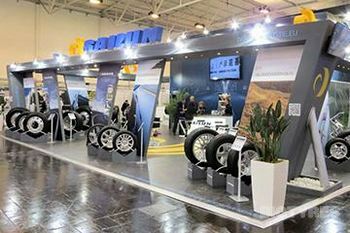 The Sailun Commercio VX1 tyre is a light truck tyre engineered for commercial delivery and demanding regional applications. The Sailun Commercio VX1 tyre featuring an enhanced compound to resist tyre damage, as well as a reinforced casing to improve load capacity. The Commercio VX1 tyre delivers exceptional mileage and tread life. 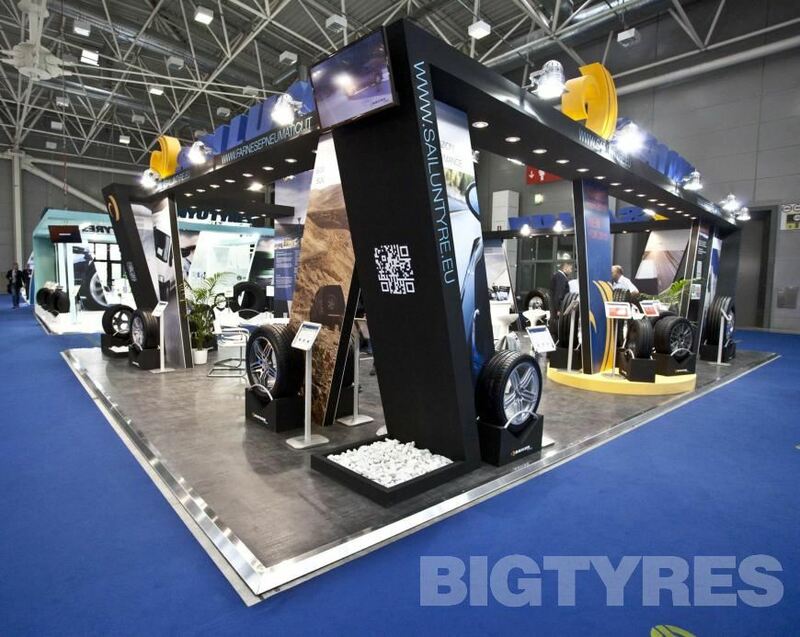 The main features of the tyre are a new profile design with a significantly improved carrying capacity. Strengthened tread construction, abrasion resistance and puncture resistance, and a special tread formula in the Sailun Commercio VX1 tyre that enhances traction and improves skid resistance. The Sailun S606 tyre is Sailun's premium steer tyre, featuring extra wide shoulders with built in sipes for excellent stability and traction under all weather conditions. An extra deep 16-17.5 mm tread depth ensures exceptional mileage for the Sailun S606 tyre, while an interlocking symmetrical tread block design promotes even wear and a square footprint. 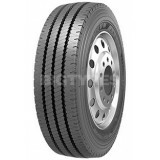 The Sailun S629 tyre is a directional position tyre suitable for mid to long distance trucks and buses running on good roads. 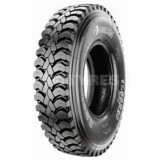 Tread compound formula improves scrub resistance. The Sailun S629 tyre has a unique shoulder design and deeper shoulder grooves that help prevent abnormal tyre wear. The tyres widened running surface provides better tread-to-ground contact area for improved handling. The main features & benefits of the Sailun S629 tyre include; Shallow pattern grooves on the Sailun S629 provide the tyre with strong grip and skid resistance, the widened running surface provides even contact pressure for better handling, the zigzag pattern at the bottom of the tread grooves provide for better manoeuvrability and driving comfort. The widened shoulder and unique shoulder groove design provide for cool running and reduce uneven wear of the Sailun S629 tyre. 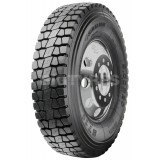 The Sailun S637+ is a versatile tyre, suitable for the steer and trailer axles of regional vehicles and the trailer axle of long-haul vehicles. The Sailun S637+ features five extra-wide ribs for exceptional stability at all speeds. An extra-wide solid shoulder resists damage caused by high-scrub applications, while a mirrored tread design ensures that the Sailun S637+ wears evenly. The Sailun S637+ has wide grooves designed for hydroplaning resistance, while a long-life rubber compound is engineered for extended tread life. The Sailun S696 tyre is a low section tyre designed to replace the traditional double-tyre style. The special tread rubber design of the Sailun S696 tyre allows the tyre to run cool. Strengthened design improves driving safety. The main features & benefits of the Sailun S696 tyre inlude; Small grooves to allow the tyre to run cool and provide better grip to improve skid resistance. Closed-shoulder design enhances tread wear resistance and effectively uneven wear. Zigzagged grooves reduce stone retention. 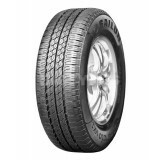 Super wide running surface, shoulder design, and special tread formula improve tread life of the Sailun S696 tyre. 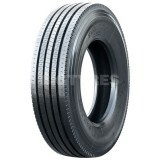 The Sailun S701 tyre is a drive-position tyre for long-distance transportation applications. 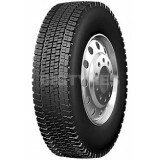 The specialised rubber tread compound of the Sailun S701 tyre provides excellent anti-scrub resistance. The varied pitch tread design and narrow horizontal grooves of the Sailun S701 tyre effectively reduce tyre noise for a more comfortable ride. 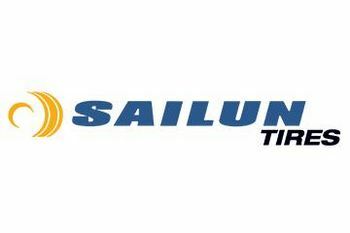 The main features & benefits of the Sailun S701 tyre include; Three main tread grooves to provide excellent handling stability for a more comfortable ride, a widened tread-to-road contact surface that evens out pressure for improved driving stability, and the Sailun S701 tyres narrow grooves are optimised to reduce noise emissions. The Sailun S702 tyre has an optimised tread formula improves wear resistance by ensuring the tyre runs cool. A rib between the pattern blocks on the Sailun S702 tyre helps to reduce partial wear and improve scrub resistance. The main features & benefits of the Sailun S702 tyre include widened tread grooves to help improve self-cleaning capabilities for better grip. The rib between the Sailun S702 tyres pattern blocks is designed to improve stiffness and reduce partial wear, and the widened running surface allows for better driving stability. The Sailun S711 tyre has a special tread design that effectively improves self-cleaning capabilities and with it's deepened grooves the Sailun S711 tyre provides a longer tread life. 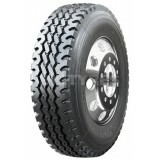 The main features & Benefits of the Sailun S711 include: Narrow grooves to reduce tread rigidity and improve scrub resistance, deepened zigzag grooves extending from the shoulder to the centre to help improve grip, the small rib design between pattern blocks on the Sailun S711 tyre is designed to reduce the movement of the pattern blocks and reduce uneven tread wear. 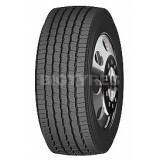 The Sailun S737 tyre is a regional pickup and delivery drive tyre, with 6-interlocking tread blocks and a symmetrical design engineered to promote even wear throughout the Sailun S737 tyre's life. Tapered lateral grooves make the Sailun S737 tyre a performer in all-weather applications. The main features & benefits of the tyre include; Integrated tie bars reduce irregular wear and promote increased stability, Angled lug and siping design improves overall traction and wet grip of the Sailun S737 tyre. M&S rated, all-weather lug tread designed for regional use. Lug-to-void ratio optimized for self-cleaning and excellent traction. 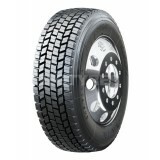 The Sailun S753 tyre is a premium drive tyre for regional and pickup applications. The interlocking tread block on the Sailun S753 tyre reduces stone retention and improves self-cleaning capabilities. Extra deep grooves (26/32") offer a longer tread life. The main features & benefits of the Sailun S753 tyre include; Tread block sipe design improves grip. Open shoulder and tread groove design reduce stone retention and improve traction. 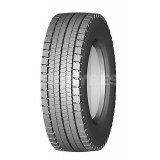 High strength casing of Sailun S753 tyre gives improved durability. 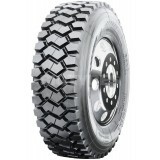 The Sailun S815 tyre is a mixed service tread tyre featuring a chip-resistant compound that is ideally suited for off-road and construction applications. A zigzag main groove pattern on the Sailun S815 tyre reduces stone retention, while maximising traction under all applications. Sidewall protectors are engineered to provide an enhanced casing protection. The main features & Benefits of the Sailun S815 tyre include; Large deep shoulder grooves improve traction and help the tyre run cool. Interlocking lugs promote improve stability and uniform wear of the Sailun S815 tyre. Wide footprint and unique shoulder design improve stability. Specially formulated compound and deep tread depth improve tread life when running the Sailun S815 tyre. The Sailun S825 tyre is an all-position mixed service tyre engineered with a special rubber compound which improves scrub resistance. The Sailun S825 tyre has stone ejectors within the groove reduce stone retention while the angled tread blocks deliver excellent wet traction. The main features & benefits of the Sailun S825 tyre include; Interlocking lugs improve stability and uniform wear. Stone ejectors reduce stone retention. Wide footprint and unique shoulder design improve stability. 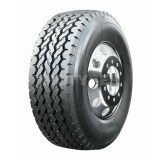 Special tread compound improves tread life when running the Sailun S825 tyre on your vehicles. The Sailun S911 tyres bead is designed to improve durability while the special tread design reduces stone retention while improving traction. The main features & Benefits of the Sailun S911 tyre include; small grooves between the blocks to allow the tyre to run cool and provide improved uniform tread wear, deepened grooves in the Sailun S911 tyres offer a longer tread life, overall tread pattern design of the Sailun S911 tyres is specially designed to improve block rigidity in the center and provide better balance on the shoulders to improve uniform wear. 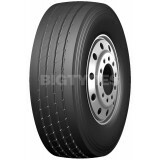 The Sailun S913 truck tyre is designed for the drive position of all type of trucks. The Sailun S913 tyre features an aggressive, deep tread pattern made with a durable tread compound. The angled grooves reduce stone retention, and the strong casing and strengthened tread blocks improves traction, while also improving wear, cut, and chip resistance. 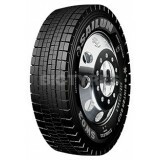 The Sailun S913 truck tyre gives you a long tread life. The Sailun S917 drive tyre has been engineered to perform in demanding off-road conditions such as mining, construction and logging applications. The Sailun S917 tyre features an aggressive multi-lug tread design for exceptional off-road traction and an enhanced rubber compound to resist cuts and chunking. Open shoulder ribs deliver superior stability and resistance to uneven wear. 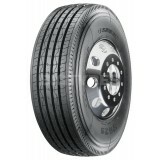 The Sailun S917 tyres deep 31/32” tread depth provides long tread life and an exceptional cost per kilometer. The main features & benefits include; Aggressive multi-lug design, Deep tread depth for excellent tread life, Open shoulder design for excellent stability when running on the Sailun S917 tyre. 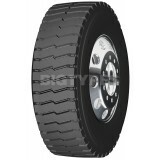 The Sailun S951 is a mixed service on/off road tyre which is especially suited to poor road conditions. 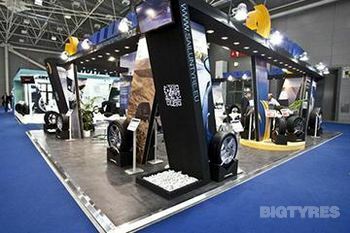 The tread pattern has large blocks with deep grooves, and it effectively provides traction, resists punctures and ejects stones to protect the casing and extend the tyre life. 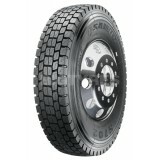 A tougher compound and deep tread make the Sailun S951 especially resistant to cuts and punctures. The Sailun STR1 tyres is a trailer position pattern suitable for mid-to-long distances on good roads. The Sailun STR1 tyre has a specialised tread rubber formula that improves wear resistance and rolling resistance. The Sailun STR1 tyres features a unique shoulder design that helps to prevent uneven wear. 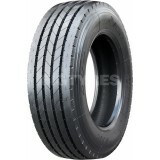 The horizontal block grooves on the tread improve grip and slip resistance. the four main tread grooves of the Sailun STR1 tyre provide excellent handling and driving comfort, and its widened shoulder prevents irregular shoulder wear. The Sailun SW02 tyre is designed with a cold resistant tread compound and the tread pattern design employs multiple grooves and sipes for greater driving capabilities on snow and ice when using the Sailun SW02 tyre. A slip-resistant tread formula is made specifically for winter weather conditions and the multi-block groove design in the tread, safely and effectively discharge snow. the Sailun SW02 tyre has Zigzag sipes to improve the tread contact area for greater block rigidity and improved grip on snow and ice. 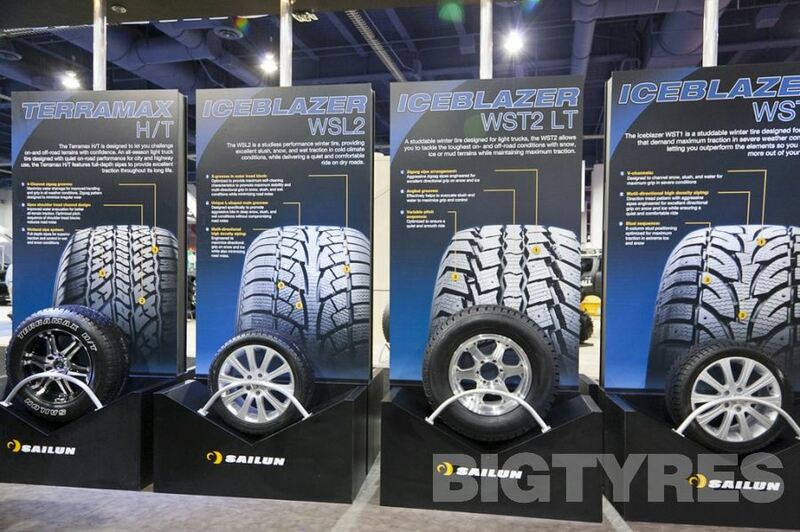 The main features & benefits of the Sailun SW02 tyre include zigzag sipes design improves winter weather grip, cold-resistant tread compound and tread pattern grooves improve snow and ice traction, special tread compound formulation improves winter weather safety when using the Sailun SW02 tyre. The Sailun SW03 tyre employs a cold resistant tread compound formula and multi-block/groove design for improved winter weather performance. The sipes on the Sailun SW03 are designed to increase tread contact area and block rigidity for better winter weather grip and traction. 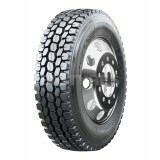 The main features & benefits of the Sailun SW03 tyre include a unique sipe design that allows the tyre to run cool with improve grip, an Increased number of tread grooves that effectively drain snow for improved driving safety on ice and snow, and a cold resistant tread compound, fine sipes, and dense grooves to improve safety when running the Sailun SW03 tyre in winter weather conditions. The Sailun SW05 tyre is equipped for all winter weather conditions thanks to the special slip and cold-resistant tread formula and tread pattern which effectively improve grip and traction on snow and ice when running the Sailun SW05 tyre. The unique groove design increases the ground contact area for improved traction and split resistance on ice. The main features & benefits of the Sailun SW05 tyre include; Unique groove design effectively drains snow to improve grip and slip-resistance on ice and snow, tread grooves and sipes on the Sailun SW05 tyre improve driving safety on ice and snow. The Sailun SW06 tyre is an all-position speciality winter tyre that improves handling on ice and snow. 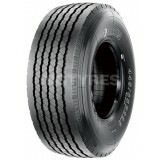 The wide tread width and five main grooves increase the tyres contact area and improves grip. M+S and 3PMSF identification on the Sailun SW06 tyre represent the tyres' excellent winter performance. The unique sipe pattern and open shoulder design effectively drain water. 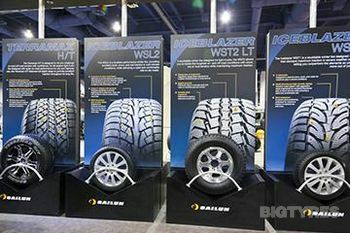 The main features & benefits of the Sailun SW06 tyre include; Unique serrated sipe design that improves tyre ground contact area, pattern rigidity, and offers better grip, Open lateral grooves to provide excellent driving performance, a widened tread and five main grooves improve ground contact area and grip when running on the Sailun SW06 tyre.